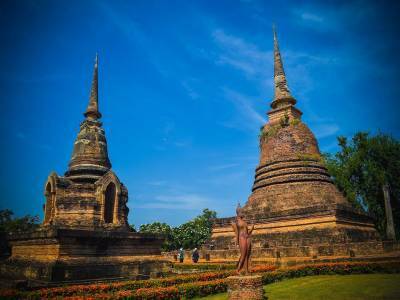 The Sukhothai Historical Park is basically the whole of the old city of the Sukhothai city of the Sukhothai province of the South East Asia country of Thailand. 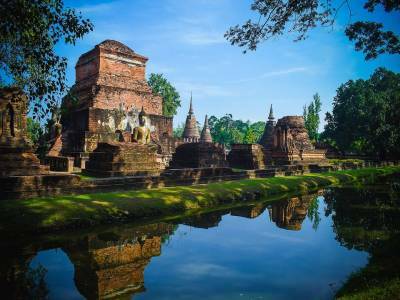 The city of Sukhothai was the very first capital of the country dating back to the starting decades of the second millennium into the Common Era. The Sukhothai Historical Park is the remnant of the great capital that was once the centre of the whole southeast region of the continent during its golden time. 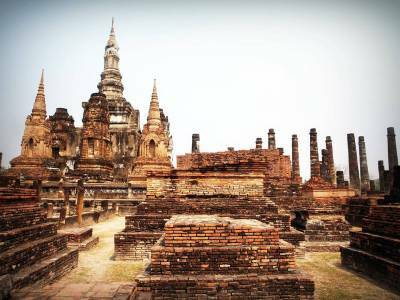 This endless historical instance of the inception of the Thai cultural heritage and prosperity that enlivens the history of the country in the minds of the tourist is what makes Sukhothai Historical Park a great tourism destination. 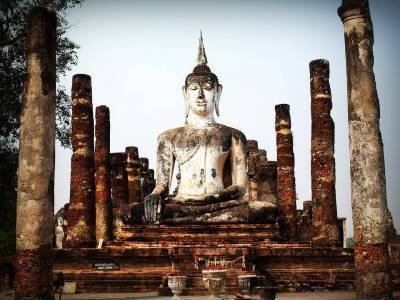 The word Sukhothai literally translates to dawn of happiness and the Sukhothai Historical Park is situates in the northern parts of the country. This old city was the capital of the Sukhothai kingdom and was greatly built with art and culture by the kings of that period. It is believed that the Sukhothai kingdom was an extension of the Khmer Kingdom that was in this region from before. The fact that the buildings and architectures are very similar to Khmer style attests to this. The rectangular city rose to prominence under Ram Khamhaeng and latter it fell to the rise of Ayutthaya Kingdom. There are many great visiting spots in the Sukhothai Historical Park. The most alluring aspect of the Sukhothai Historical Park is the rectangular spread of the city over 70 sqKM area. There are more than 193 ruin establishments in the park along with about 26 temples. There are many things in the park but under the conservation of UNESCO lies the most visiting spots that includes 4 great ponds and 21 sites within the inner wall and 70 mote historic sites beyond it. The temple of Wat Mahathat is very famous. The place is very easy to commute and being an UNESCO World Heritage Site this place is a great tourist magnet. 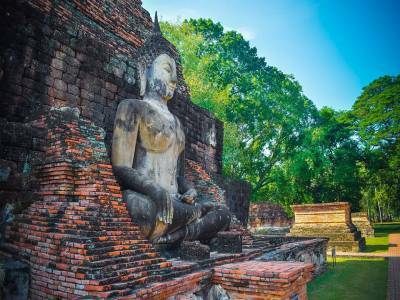 Get quick answers from travelers who visit to Sukhothai Historical Park.